Once again, the Villanova Wildcats hoop team has been treated to a custom KD colorway by NIKEiD. Nova's KD 7 sports a white mesh upper, navy Hyperposite overlay and light blue hits on the inner lining and cross-strap. 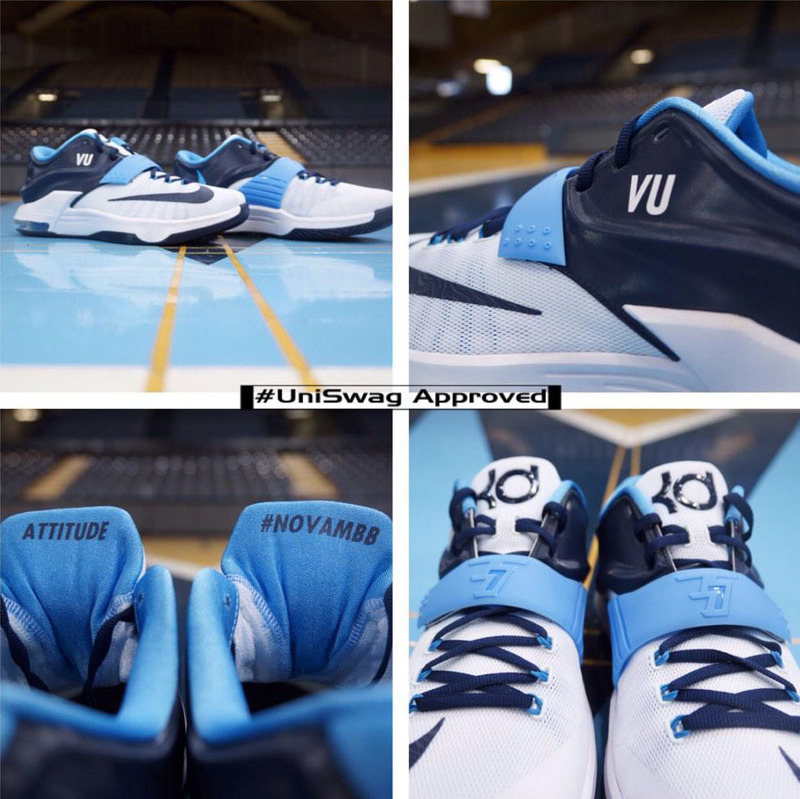 The lateral side is marked with 'VU,' while 'Attitude' and '#NOVAMBB' are embroidered on the backsides of the tongues. The KD 7 is available to iD at nike.com now.